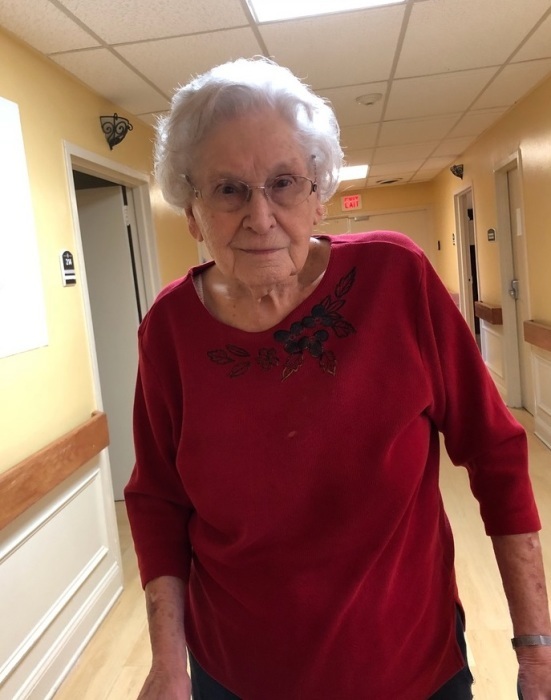 Dolores Jennings Cook, 95 of Morgantown, KY passed away Wednesday January 23, 2019 at the Morgantown Care & Rehab. Dolores was born July 14, 1923 in Henderson County, Kentucky to the late Walter and America Hall Burden and wife of the late Hayden Jennings and Troy Cook. She was a member of Big Muddy Missionary Baptist Church and a retired mail carrier for the United States Postal Service. Other than her parents and husbands she is preceded in death by two sons Hayden Daniel Jennings and Patrick Joe Jennings; one daughter Lana Elizabeth Jennings; grandson Brian Eric Daniel; six brothers and two sisters. Dolores Jennings Cook is survived by three daughters Shala Wilson and husband Larry of Hartford, KY, Marsha Kay Drozak and husband George of Jacksonville, FL and Glenda Carole Southerland of Morgantown, KY; three sons Robert Alan Jennings of Morgantown, KY, Michael L. Jennings and wife Katherine of Morgantown, KY and John Mark Jennings and wife Jayne of Warren County, KY; 17 grandchildren; 30 great grandchildren; 7 great great grandchildren; four sister in laws Lucille Daugherty and husband Irvin of Morgantown, KY, Louise Daugherty and husband Louie of California, Carson Cook of Morgantown, KY and Sara Burden of Bowling Green, KY and several nieces and nephews.